These are a good set, though a touch light for most ELBs. 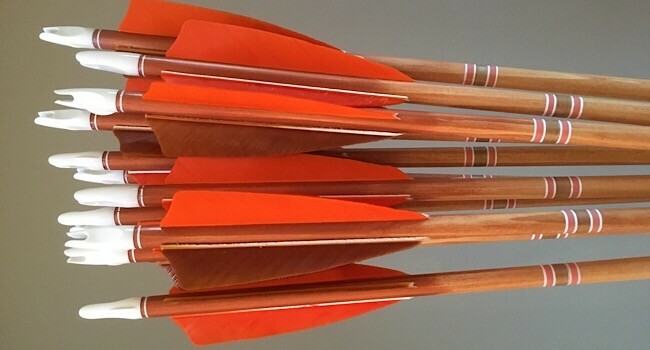 They’re specc’d much like our ‘club’ arrows, but at ‘practice’ arrow prices, with some pretty paint on them for nowt! 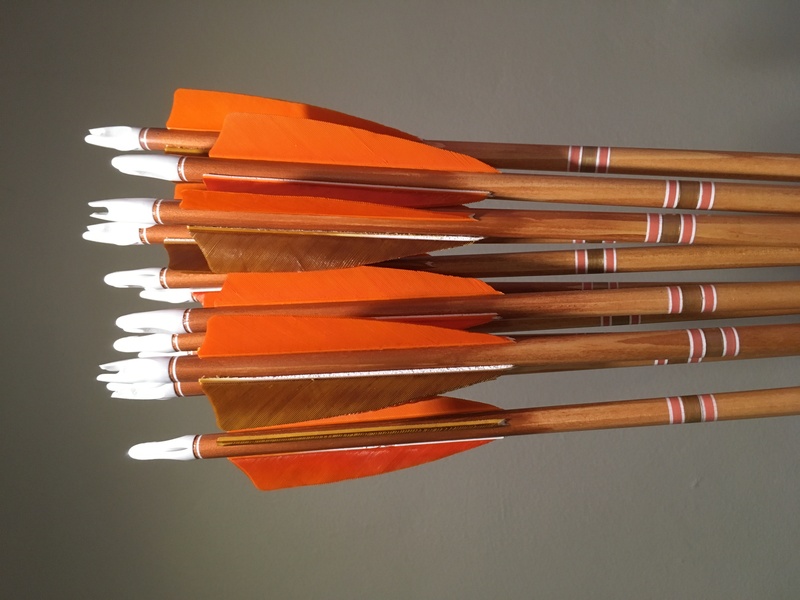 A set of 12 Bearpaw Fir wood arrows with. Will be posted Royal Mail First Class Signed For the next working day after receipt of payment (or the same day if paid by 10am). 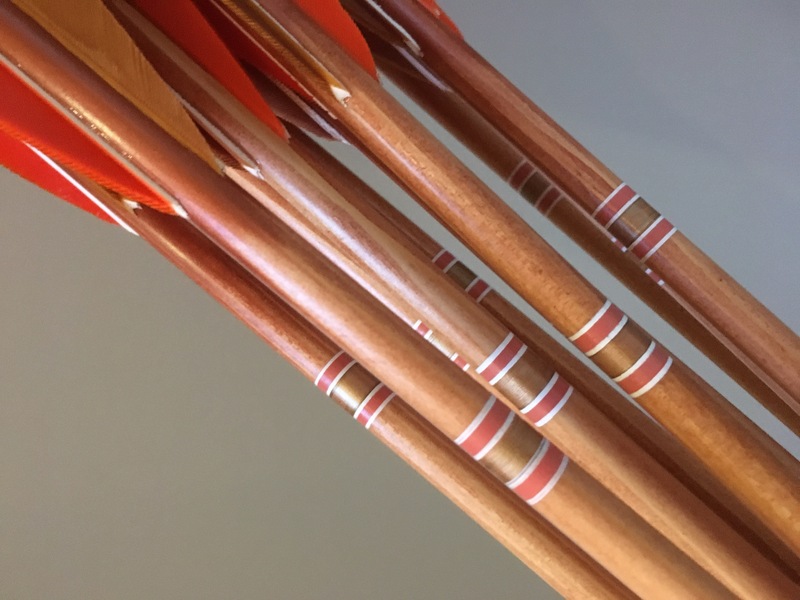 The 11/32” shafts of these arrows have been stained and have a fade to bronze through the fletching area to the nock and are simply crested. 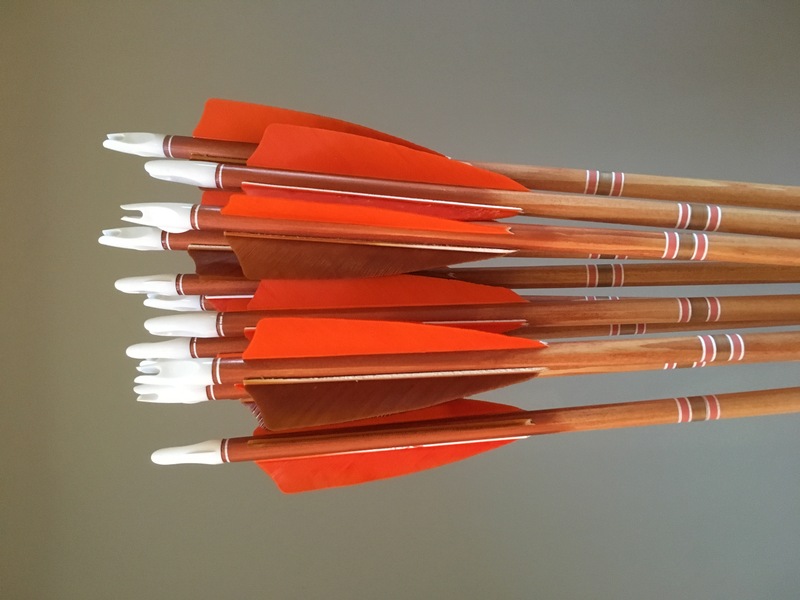 The cresting closest to the nock is not perfectly aligned (please check photos carefully) hence the low price. They’ve been sanded and finished with a clear gloss outdoor acrylic varnish. There is a little more grain run off with this set than is preferable, but they will still shoot well. Length: 31” from back of point to base of nock. 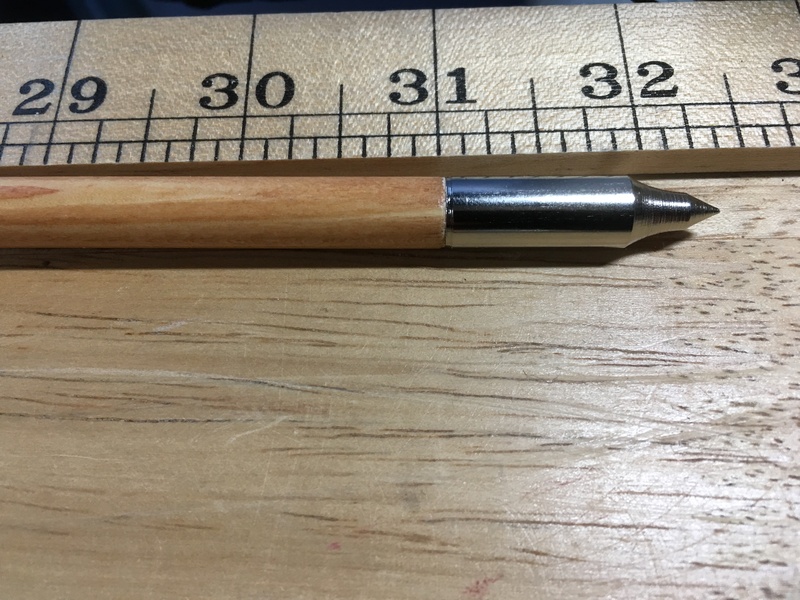 Point: 92 grain parallel fit steel field point (suitable for all types of archery). 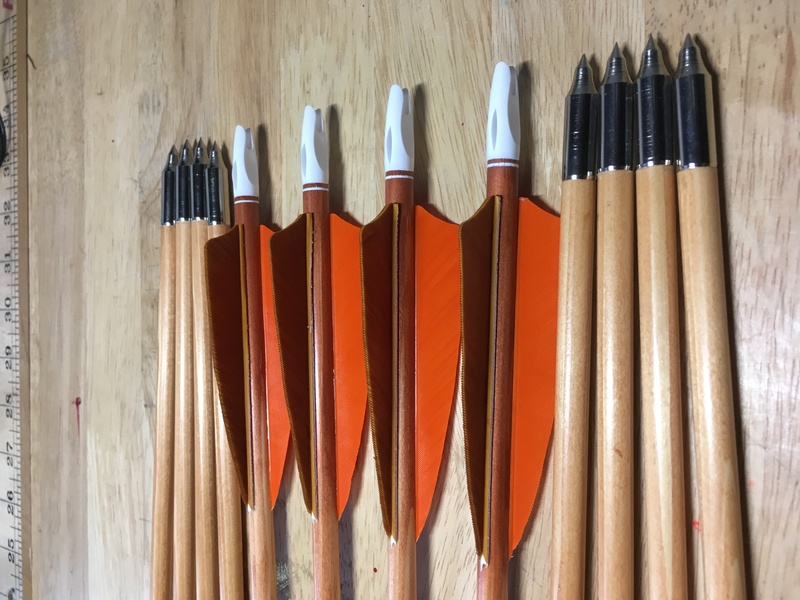 These arrows would be suitable for modern longbows, or recurves drawn to around 55lbs. 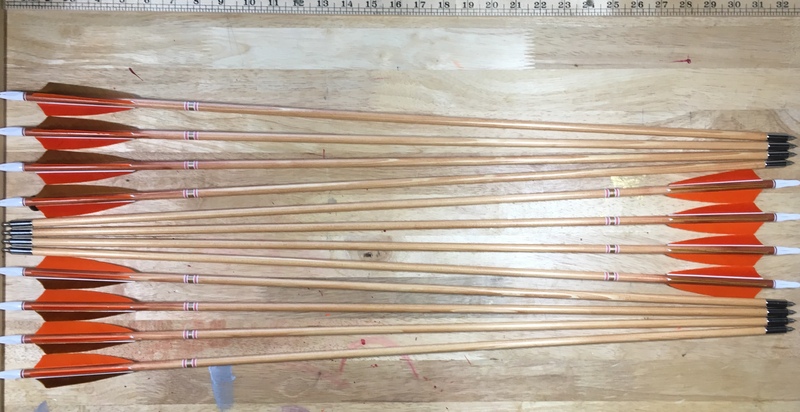 They are a light set (around 7-8gpp), so use with an English longbow or self-bow may not be recommended by a bow's manufacturer. Please check other listings and our selling feedback - thank you for looking!